Imagine a circle of women so open-minded, so accepting, that a mother could show up in their midst with an eleven–year–old daughter and those same women would accept that girl as an equal among them. 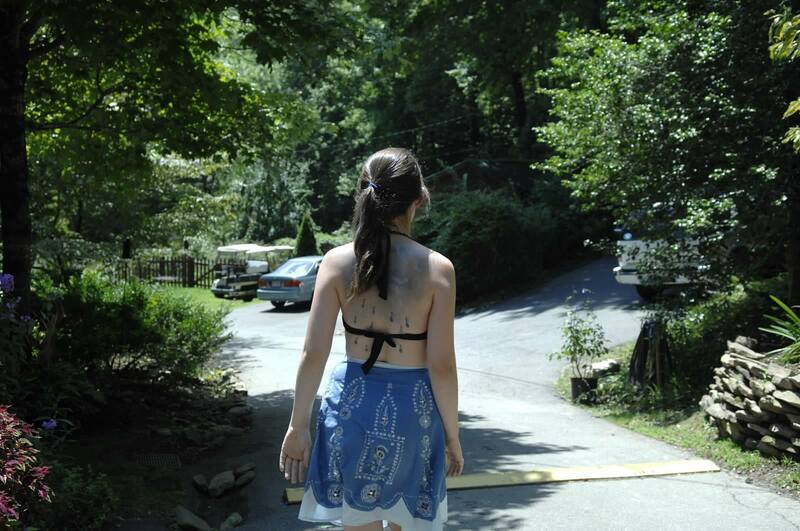 Last year my daughter and I attended the Shamanic Priestess Process together in the Smoky Mountains of North Carolina. She was 11 years old when she heeded a call from spirit to come with me and take part in this powerful and deep work. One of the ways the Shamanic Priestess Process approaches Women’s Mysteries is from the perspective of our inner archetypes. We heal ourselves by meeting and honoring our inner maiden, and all phases of the feminine. We work with the larger Oversoul of the Priestess, which includes many of the ancient and sacred roles that women have filled, such as midwife, medicine woman, courtesan, oracle, prophetess and sage. We also work with the inner Patriarch and Matriarch and get to know our shadow sides. The journey through this Process was life changing for me. I learned so much about myself and let go of a lot of habits of thinking that were disempowering and damaging to my feminine self. I continue to work and let go of things, while acknowledging the space in my life that has been opened up for new and beautiful things to come in. Watching my girl transform was sometimes surreal! She entered the circle as a child–apologetic, quiet, not really willing to take up space or impose her ideas or thoughts on anything or anyone. By the end of the Process, she had found her place in the circle, gotten in touch with her power and gained the confidence to be herself in our circle independent of me, as a priestess in a circle of equals. She was initially honored in the circle for her courage to step in, and over time, she earned the respect and admiration of her priestess sisters as a wise young woman who knew and loved animals, had many gifts to give the world, and carried with her deep understandings from ancient times. Becoming a Shamanic Priestess is not about goddess worship or Wicca or any other arcane religious methodology. It is about looking deeply into our own souls and working to become more clean, clear and current in our lives. We become more truly loving and compassionate, while learning that honoring our own needs and being sure that they are met, is good and right. We learn to love ourselves, and all of our myriad parts, as a step on the path toward love for all beings. In several decades as a spiritual seeker I have been involved in various groups, from Baptist Churches to Native American style worship. As I worked with Anyaa and the apprentice facilitators in my priestess circle, I experienced being fully accepted for the first time, completely assured that no matter what came up, or out of my mouth, my participation in the Process was important; that my part was essential for my growth and also for the greater whole. The circle was not complete without me. There was no one who felt as if they had to serve as a go-between for Anyaa, something I’ve experienced in other spiritual groups where power dynamics really get in the way of spiritual work. In my priestess circle there was no one who told me that my contribution wasn’t wanted or needed or just didn’t matter. I realized from very early on that this Process was the clear and correct choice for me and for my daughter. I feel as if I live my life with more integrity now than I ever have and the Shamanic Priestess Process really put me on the fast track for that. In my own sacred work, I have come home to the priestess within, and realized that with all of the work I do in the Red and Pink Tent movements, I am ready to also take on the role of Facilitating High Priestess. What a surprise to realize I am waking up to a whole new way of being in the world that can serve women of all ages to walk in their lives in a sacred way. My own Mystery School within the Shamanic Priestess lineage is my work with the mother and daughter archetypes. Based on my own experience in the Process, I know there is immense value for mothers and daughters to do this work together. In January 2015, I will be apprenticing a Shamanic Priestess Process Circle in Florida with Anyaa. 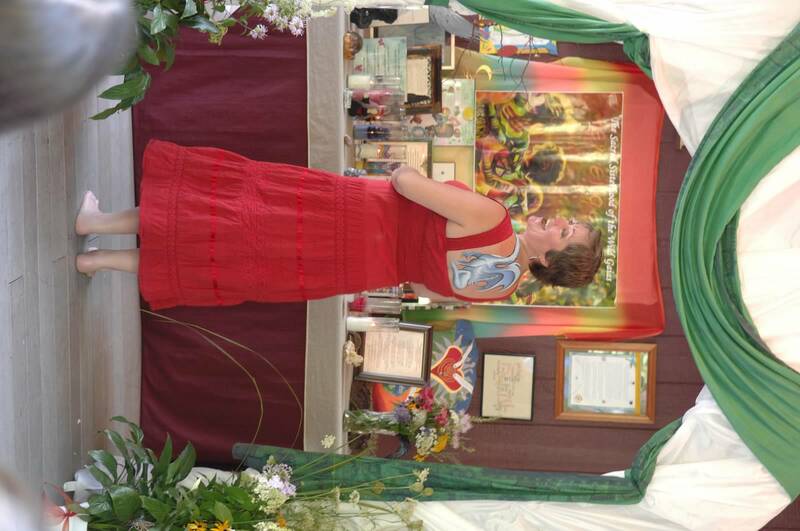 My beautiful Priestess friend Melody LeBaron is pulling the circle together and we will co-apprentice. I am hopeful that other teen girls will join this circle so that we can begin sending this work into the world with young women, who will carry themselves with more authority and authenticity into the world they will change.